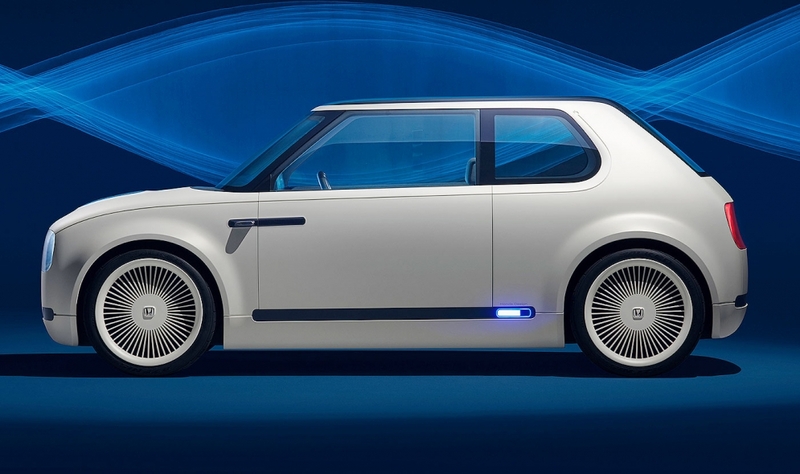 FRANKFURT – Honda said it will launch a full-electric city car in Europe in two years. The automaker unveiled the Urban EV concept previewing the car at the auto show here on Tuesday. "This is not some vision of the distant future. A production version of this car will be here in Europe in 2019," Honda CEO Takahiro Hachigo said at the car’s unveiling. Honda’s European boss, Philip Ross, said the EV was designed specifically for Europe, but it will be sold globally. "We believe if we make a great car for Europe, then it will work elsewhere," Ross said. The production car will be built in Japan. The Urban EV was designed to appeal to European tastes with big wheels, a wide, sporty-looking stance and high-tech innovations such as cameras in place of side mirrors. Ross said he expected EV sales to account for about 4 percent to 5 percent of the total market in Europe by 2019. 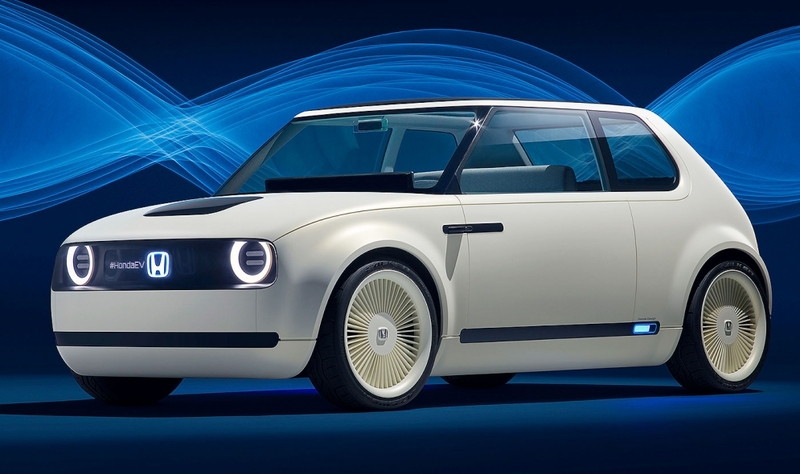 The production version of the EV concept will make up a slightly smaller share of Honda’s sales in the region, putting it at about 5,000 units a year based on current sales. The concept is built on a completely new platform and sets the direction for the technology and design that will appear on a future battery-electric Honda production model, Honda said. The concept car is smaller than Honda's Jazz subcompact. The car has slim A-pillars that give it a retro look and aid visibility from inside the cabin. Its interior was designed with a lounge feel. 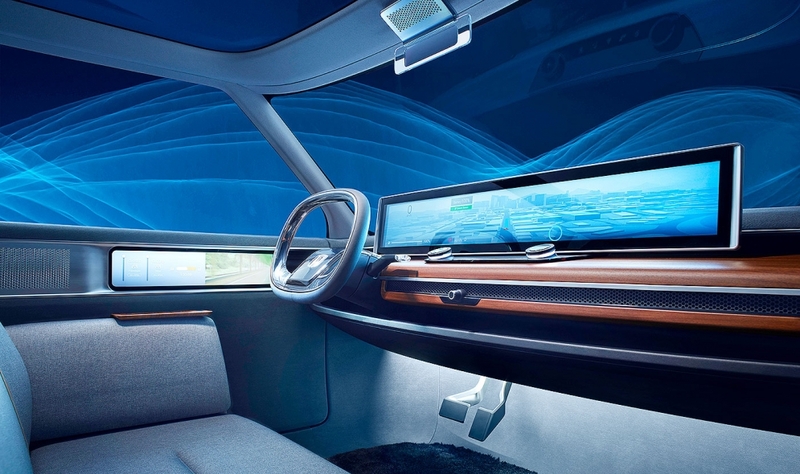 The concept has a long display screen that covers almost the length of the dashboard. The cabin has wood finishes and a natural gray fabric covering the bench front seat. A long display screen covers almost the length of the dashboard, while two smaller screen on the doors display the rear view from the two side cameras. Honda also showed a near-production concept of its CR-V crossover with a full-hybrid drivetrain that will replace the diesel CR-V in Europe. It said the car will go on sale next year as its first hybrid SUV in the region. Honda also said it aims to have electrified technology in two-thirds of its worldwide new-car sales by 2030. In Europe, where there is growing regulatory pressure for low-emission vehicles, the target year is 2025. This is because there is “particularly strong” interest in full-electric and hybrid vehicles, Honda said.